If you need a new garage door, new opener, new cables, new sensors, or anything else, then you’ve come to the right place. We understand your needs and we offer a vast selection of designs, and parts for your satisfaction. 24/7 availability and service is just a phone call away. Selecting and fixing a new garage door opener is very easy. We have informational packets for you which can help you get a clear view about the different types of garage door openers. Let us help you become more comfortable with purchasing a new opener. Belt drive openers are the quietest and best kind of openers available in the market. The advantage of this drive is it is usually covered by a lifetime guarantee, but this guarantee mainly depends on the manufacture. Being the most dependable unit, it is widely considered to be the best opener. If you don’t go the conventional route, then the screw drive opener is for you. It uses a totally different system to lift the garage door. The mechanism that is attached moves along with a threaded rod. They are very strong and powerful units which have less moving parts and require minimal maintenance. Chain drive garage door openers are the known as the standard and basic model of the opener. They are less expensive and very reliable. Chain drive is a very good choice in the field of garage door openers. It is very popular and a worthy choice to save your wallet. Give us a call today! Direct drive jackshaft is a garage door opener which is designed uniquely and is mounted besides the garage door wall. If you have a low ceiling then this is the right choice! It also gives you more space which is useful for people who use a garage door for storage space. There are two different types of springs used for a garage door. The extension springs, and the torsion springs. Both of these springs have a slight difference from one another. 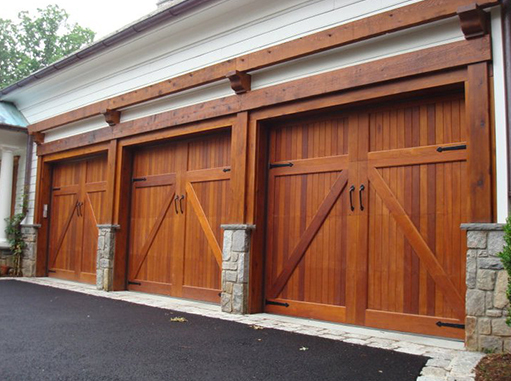 For garage doors that are lighter, we install extension springs which are place on the side of the garage door tracks. However, we install torsion springs for heavier garage doors, and they are placed above the opening of the door. The best and most effective way to determine which spring your garage door needs is to have a repair technician take a look at the system. In addition to installing new springs, you should keep in mind that we are also able to repair them when they snap or wear down. Garage Door Repair Camarillo CA does not recommend anyone without experience to try to repair their own door. It is very dangerous if you do not have the proper training or professional experience with garage doors. Give us a call for a free estimate.